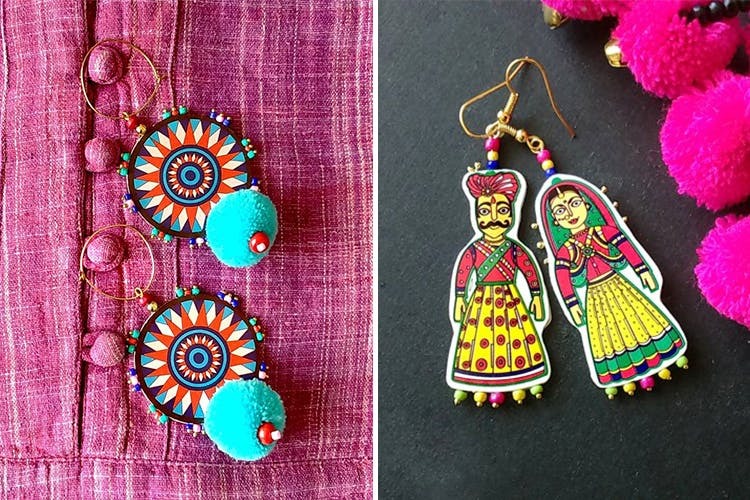 This Brand Makes Intricate Jewellery Out Of Paper & It's Gorgeous! Girl Thinks Co has a unique concept for their jewelry. All their accessories are made out of (wait for it), paper! Yes that’s right. This brand makes all of their jewellery out of paper, and they’ve honestly got some incredible pieces. So if chunky silver isn't your thing, you should check these out. They add on beads and pom-poms to their designs and the results are outstanding. Since they use paper for their designs, even their large, chunky earring and necklaces are light as a feather. From funky tribal patterns to intricate portraits of goddesses, their designs are unique and look great.